The seas have been good but the rain is here. The kings are here but you are not. The fishing has been good but the kings have been running around the 12 pound mark. there is always a chance of the big one though. 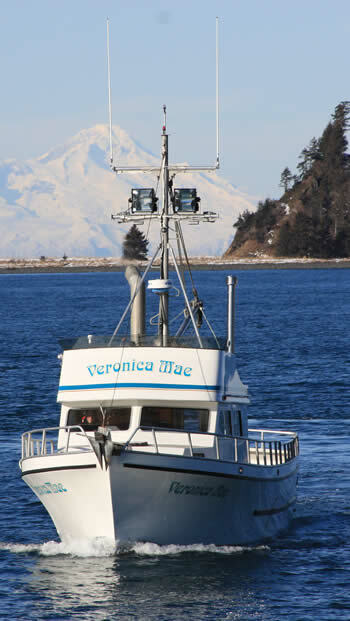 Start thinking about fresh salmon for dinner and come on down and enjoy yourself on the Veronica Mae. Keep a tight line and keep your tip up.